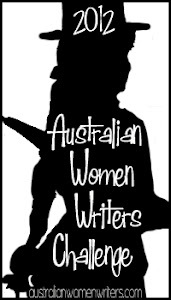 Synopsis- At nineteen, Molly Jones has the world at her feet. Then one drunken night she falls into bed with Mark, a cowboy just passing through. By the time Molly realises she’s pregnant, Mark is long gone. Now, at twenty-six, Molly’s life is almost perfect. She’s the devoted mother of Rose, and a renowned horse trainer. She lives amid the beauty of Jacaranda Farm, surrounded by family and friends – none closer than hunky stockman Heath. But she’s still looking for the love of her life, and a father for Rose. When Mark stumbles back into her world, as charming as ever, Molly begins to hope for a future she’d long ago relinquished. But how will Mark react when he learns he’s a father? And could the man of Molly’s dreams be closer to home than she thinks? Review- Molly Jones is 26 years old and mother to beautiful 6 year old Rose, who was born as a surprise following a one-night stand. Molly never saw the man again and has regrets that Rose will never know her father. Molly lives with her grandparents on Jacaranda, a working farm where she works hard and spends time with her best mates Kenny and Heath. Molly is still recovering from the loss of her best-friend Jenny who died a year prior in a riding accident and so is Heath who not only lost his partner but their unborn child too. A year on and Molly and Heath have a fantastic friendship and an emerging attraction, but Molly is reluctant to become involved with him as she fears she is betraying her friend. Heath provides Molly with a solid model of what a father should be for Rose; someone who is caring, thoughtful and provides unconditional love. So when Rose’s father, Mark strolls back into Molly’s life and instils hope that she can have the family she always dreamt of- she is torn between the men. Mark is in a band and not a typical farm-boy but Molly is determined to get to know him and provide him with the opportunity to prove himself as someone who could be a good father for Rose. Unfortunately this laid-back party man doesn’t react the way she’d hoped when he realises their one-nighter all those years ago resulted in offspring. Jacaranda captures what it is like on a working farm and it is obvious how much Molly enjoys being on the land, in her natural environment with her closest friends. She’s also a young mum who wants the best for her daughter and doesn’t want to make any hasty decisions. I think Mandy has certainly grown as a writer since her debut novel Rosalee Station which I did enjoy but felt there were some weak points. This time around in Jacaranda, I think the characters were much better developed as was the romance between Molly and Heath and the conflicts that kept them apart. 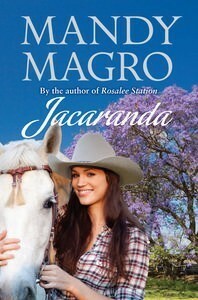 Jacaranda is a lovely rural romance by Australian author Mandy Magro about following your heart and not giving up hope. Read my review for Rosalee Station. Thanks for a lovely review 🙂 So happy you enjoyed the read, and the characters. 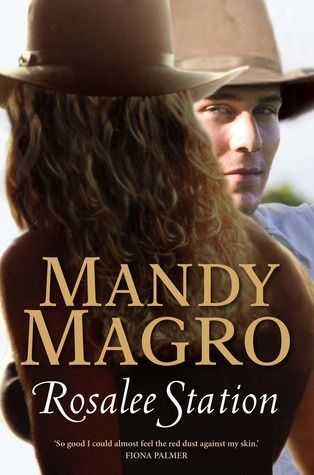 This sounds like a good story and I think I remember reading your review of Mandy’s previous book and saying it convinced me to give rural fic a go. I already feel myself wanting Molly to end up with Heath! Hi ladies 🙂 Heath was my favourite to write about. I wanted to pull him out of the book!